Are you into Filipina women? Then you’re probably signing up to multiple Filipino online dating sites today. But did you know that it would be nice to read reviews first before anything else? Start reading this Filipina Match review that I did for you so you’d know if this site is worth signing up for. Filipina women are known for being entertaining and traditional. This is the many reasons why western men are into them. This is also the reason why many Filipina dating websites are becoming popular since it’ll be easier for men to meet Filipino women. There may be a lot of Filipino online dating sites today, but this doesn’t mean that you can register to any of the websites that you like. You need to ensure that you’re registering to a website that won’t give you false hope. In this Filipina Match review, you’ll get to know everything about it even before signing up. Filipina Match is an online dating site that caters to the Filipino women community. The site boasts of providing successful and real opportunities to western men who are looking for a Filipino woman partner. These omen, on the other hand, are joining the site not only to look for romance and love but for companionships as well. Majority of women in this site love meeting people from all over the world, such as Africa, America, and Europe. There are also women who are looking for partners online, which they can marry if things go well. Both men and women can join the site. You can sign up on Filipina Match for free, but you need to fill up some details, which can take a little of your time. Some of the details that are required are your screen name, password, your gender, email, and so on and so forth. Once you have signed up, you will immediately go to the My Account page. The My Account page will have a lot of items for you, including search feature, profile options, lists, and messages. If you want to see Filipino women who are currently online, then you can go to Ladies page. All you have to do is to click on a photo, and you will go straight to a profile page. Of course, the Men page will show you profiles of men. One of the features that they have that you can’t find in any other online dating website is the Lady Luck feature. This feature will show you a woman’s profile randomly, which you can then check if you two are a match. There is also a Quick Search option and a Power Search that will let you search using the needed filters. Now, once you have checked the search results. You can click on the picture of the member that you like. You can view her and even save her as your favorite. If you want, you can send her a smile too, which is only possible if you have uploaded your photo to your profile. When it comes to email, this is not possible if you won’t upgrade your membership. 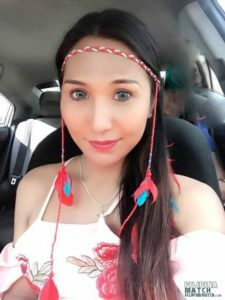 Just like in any other websites, there are also scammers on Filipina Match, and all you have to do is to be cautious about it. Filipina Match is, of course, doing something about this. But you can’t just rely on them all the time. So taking extra precautions and avoiding people who are too good to be true would be great. Overall, Filipina Match is a good online dating website if you are willing to pay for the membership. If not, then it would be best to look for other free online dating sites. The reason behind this is because sticking to the free membership of Filipina Match won’t make you do a lot of things.